1745 – Larkhall is in the middle area of John Rocque’s map. The map matches extremely well with the location of Larkhall Park on modern maps, if you take the road between the ‘Lark’ and the ‘Hall’ as modern Priory Grove. 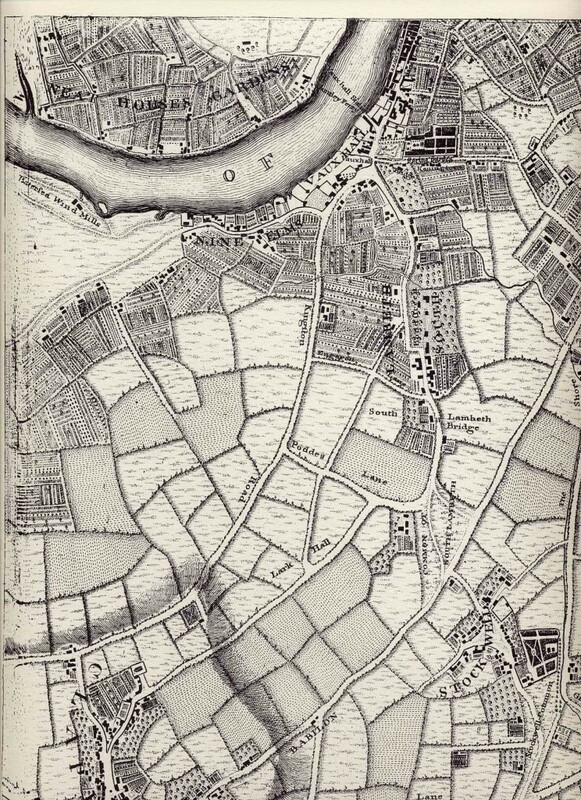 John Rocque’s Exact Survey of the Cities of London and Westminster, the Borough of Southwark, with the Country near ten miles round; Begun in 1741, finished in 1745, and publish’d in 1746 shows Lark Hall as an area in the lower middle part of map. 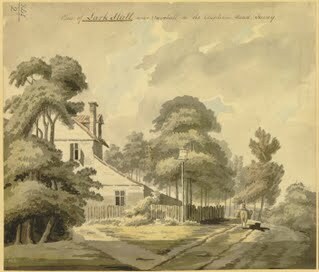 The earliest plan of Vauxhall Gardens is at the top of the map.